Fraulein 38 is a german brand that 'symbolizes ladies life-long beauty revolution', it has a great array of make up palettes- concealers, blushers and eyeshadows (review coming soon), as well as brush sets and nail art accessories at actually surprisingly great prices. 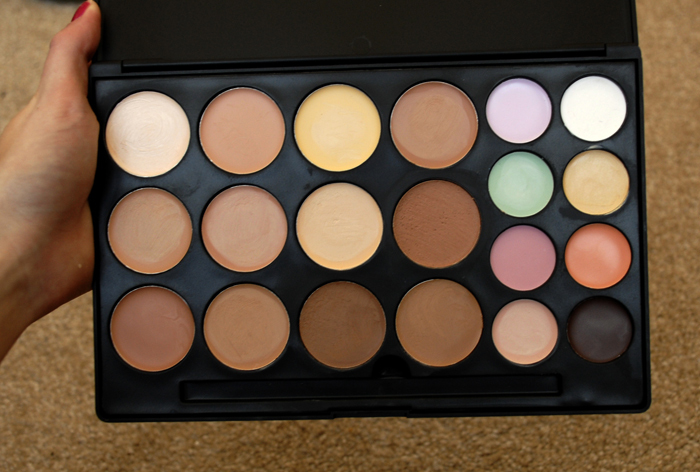 Looking through their products I was spoilt for choice but decided to first go for their concealer palettes, they have one with 15 colours which I saw on Gina's blog (her review here﻿) but I went for the 20 colour palette as it included more corrector colours. The palette is professional, thin and black, it is made from that slightly rubbery mac-esque plastic that can get a bit smudgey especially if youre using the concealer on your fingers but a bit of make up remover keeps it looking good as new. The palette came with some little plastic eye shadow applicators which Ive thrown away so there is a space below the concealers for a brush which is really handy. 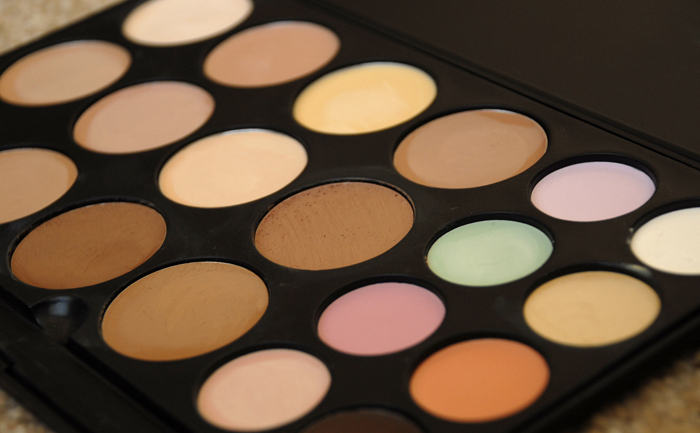 I love the choice of shades in this palette- there are two great highlighters, correctors, and concealer shades in a range of tones and colours. 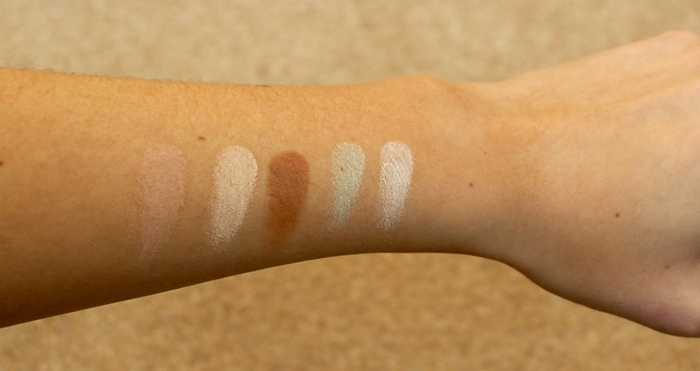 The light colours will do me when I havent tanned, the medium colours are great alone or can be mixed, and the dark colours are perfect to use as a bronzer or contour colour. I love taking a small amount of the darkest colour on a flat foundation brush or Real Techniques stippling brush and blending under my cheek bones and up to my temples. Because it's a cream it looks so natural and really adds depth and dimension to the face! Of the corrector colours I havent yet found a use for the orange and black, but the pink/lilac I use to neutralise the blueish tones around my eyes if I havent slept properly and the green and yellow I use for blemishes and red areas. If you read my post here you'll know that I was looking for a new yellow corrector and this from Fraulein is a perfect replacement. This picture doesnt really do the coverage justice, it is far better than I expected- as this is a professional palette the formulas are very pigmented and the coverage is definitely buildable. 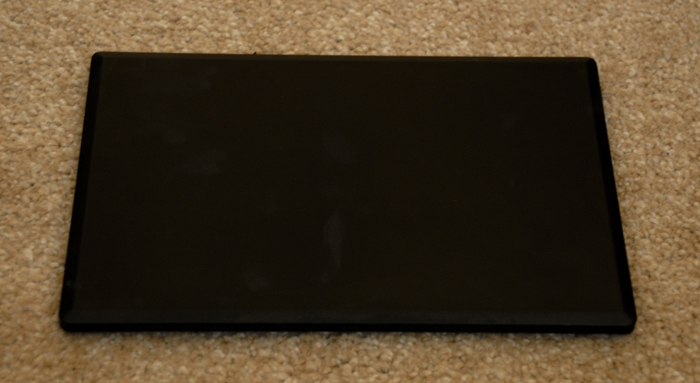 My skin isn't perfect but this palette covers everything I want it to without being drying or flaky. This palette definitely get the thumbs up from me and I would encourage anyone whos thinking about it to go ahead and order! Oh and did I mention it was only £11!? I got mine from ebay, I cant find the seller at the moment, but theres a couple here for between £11 and £12. Do you own any products by Fraulein 38? Its so handy, I use the correctors every day and the darkest is great for contouring down the sides of the nose.